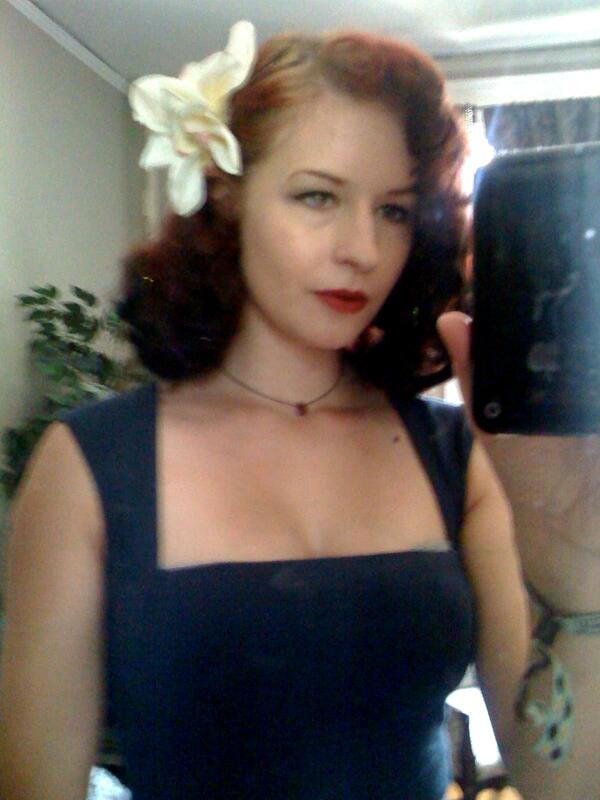 This entry was posted in Hair, The Vintage Look and tagged 1940s hair, how-to, pin curls, vintage hair. This Is by far the clearest and best pin-curling tutorial I have ever read! 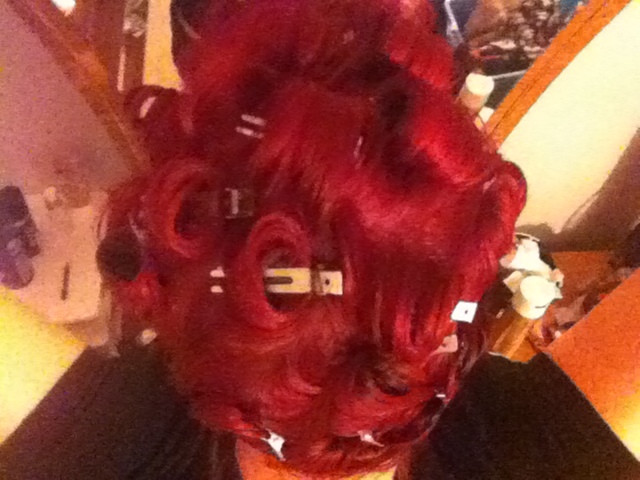 I think I’ll be having a pin-curl practice weekend! Fantastic! Lisa Freemont Street is truly the best. How did it turn out? As if I just saw this comment now. Damnit. Humidity is the enemy of hair that’s for sure. All I can really say is to use a setting lotion. I use Lottabody, diluted in water in a spray bottle. It definitely makes a difference. Then for hair spray I like Elnet because it isn’t sticky or hard at all but definitely still holds it. Can you use this method for simply curling your hair? I remember my mom doing this for me when I was younger and now with planning to do my own wedding hair, it was the first thing I thought of. Do you think it would turn out all right with just finger brushing it? Will it set if you use a blow-dryer instead of letting it dry naturally, or will that mess it up? I’m trying to get into the vintage type of hair styles, but I’d also like to be able to do it in the mornings before I go to work. It has a fair chance of not drying all the way through or evenly, and may not come out as smooth. Also, considering how much time it takes you to put the curls in (easily half an hour for a beginner) and then blow dry this could take a huge chunk out of your morning. I can see this easily going over an hour. Personally I wouldn’t find this to be worth it at all. Also, pin curls have the benefit of lasting up to a week by re-setting them dry in larger curls every night, which takes only about ten minutes, and if you do this in the morning instead you will not get this benefit and will have to start over again every day. That said, as long as you make sure to dry it completely it should be fine. If you really prefer to do it in the morning maybe just try it one evening to see how using a blow dryer works for you, and if it doesn’t quite do the job then you can leave the pins in over night and can quickly style it the next morning. A much better option for morning styling is a tight heat set, like Remington Tight Curls or hot sticks. 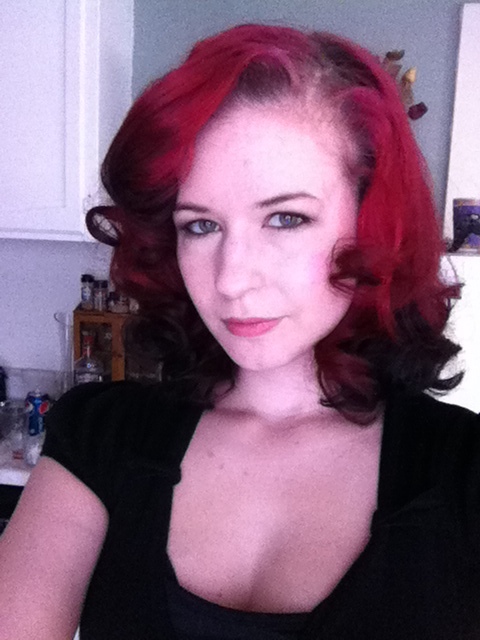 I have been practicing and practicing pincurls on my very fine, stick straight hair for several months now. FINALLY you give instructions and outcomes I understand. Thank you so much! 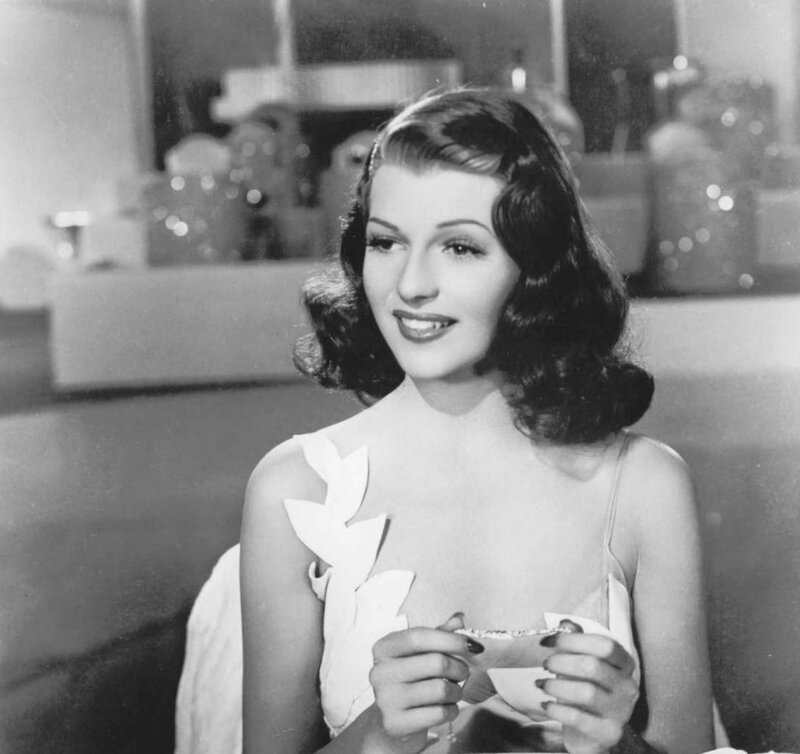 I want to achieve a 40s hollywood glam wave look that pin curls can achieve. Can I curl my hair with a curler then put the pins in my hair? And how long shall I leave the pins in because I cannot keep them in overnight as I am going somewhere in the evening of the day I will do this. Thank you, please reply ASAP. You can, and this is done very commonly, but it won’t give you a traditional pin curl effect. A curling iron can’t get curls that small, and heat sets always look different than wet sets. Pinning curls you created with heat just helps them to last longer, but they’ll look the same way after you pinned them up as they did before. The pins in this case only need to be left on until the curls are completely cooled, but it’s also a great way to make sure your style looks as fresh as possible if you started curling earlier in the day. 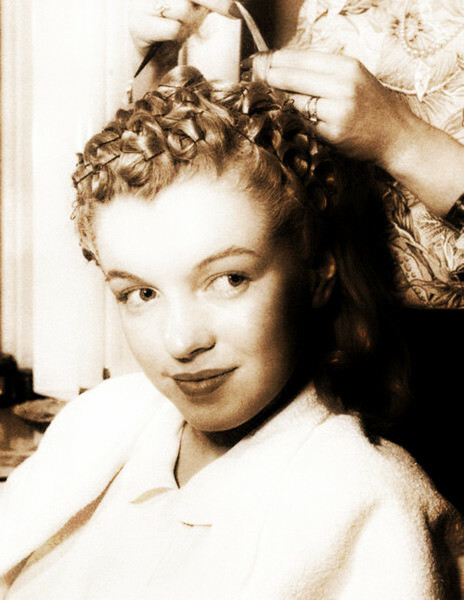 If you want to mimic tight pin curls, your best bet is to use the smallest barrel curler you have. Take a small section the way you’d see a pin curl be created, curl that lock, then wrap it around your finger, slide off, and pin it in place. It won’t be a curl that’s “locked in” like a set you left in for a few hours, but having it cool in place will last the night. 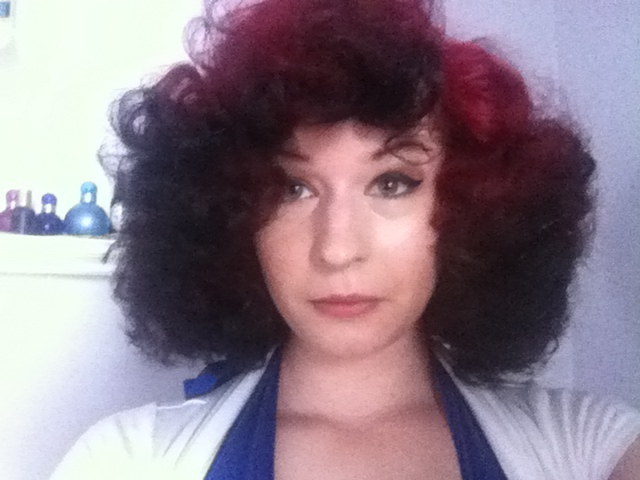 I’ve had hot curls last me 4 hours before relaxing, and that’s with Aussie mousse and no hair spray. If you do this and carefully brush out, a strong holding hair spray should keep you safe for the entire prom night. Wooden pegs, or dolly pins as you called them, work just fine and you don’t need to spend over 20 bucks on one little plastic pin curler. It works best using dry hair, though. I’ve tried it with wet hair and it doesn’t slide off very easily. Just be sure to use an emery board to smooth out the edges. When it comes to wet vs dry set, I strongly suggest dry set & dampening if your hair is longer than BSL. If you’re at mid back like me, and have fairly thick hair, wet setting just turns it into a hot mess. I have to take thinner locks of hair than Lisa does in her video. I think I’m over 30 pins for my whole head. Longer hair doing a 4 hour dry set can survive well. Even when I used to mess up, the “good ones” lasted about 8 hours before starting to relax. Personally I think that shoulder-length hair works better with a wet set. For those who want an organic setting lotion/hair gel, I’ve tried out boiling flax seeds for their goo. I won’t lie — it’s as disgusting feeling as egg whites. But just a thin layer on your finger tips to smooth over and bristle brush through makes for a great setting lotion that really promotes curls. Even when doing a 5 minute test, I already saw a strong, tight curl. It’s gross stuff to touch but a little dab will do ya. Thank you for this, I did hairdressing at college and quite often go for pin up hair but had totally forgotten about pin curling. This completely refreshed my mind and I’m hoping to try this out for my nephews christening on Sunday, I have a gorgeous 50’s dress to go with the look so hoping I can pull it off (even with my recent hair disaster)! Fantastic tips! And that final set looks great. Just wondering if you could please tell me what kind of/ shape haircut you have? I struggle to get the front sections of my hair looking like yours. It’s cut in a midi, so the shape of the bottom (the “hem”) is round. It comes up higher towards the face even when it’s straight so it does the same when it’s curled. There’s also no razoring/thinning/feathering, the ends are all cut blunt so it stays in the curls easier and the result is more clean.